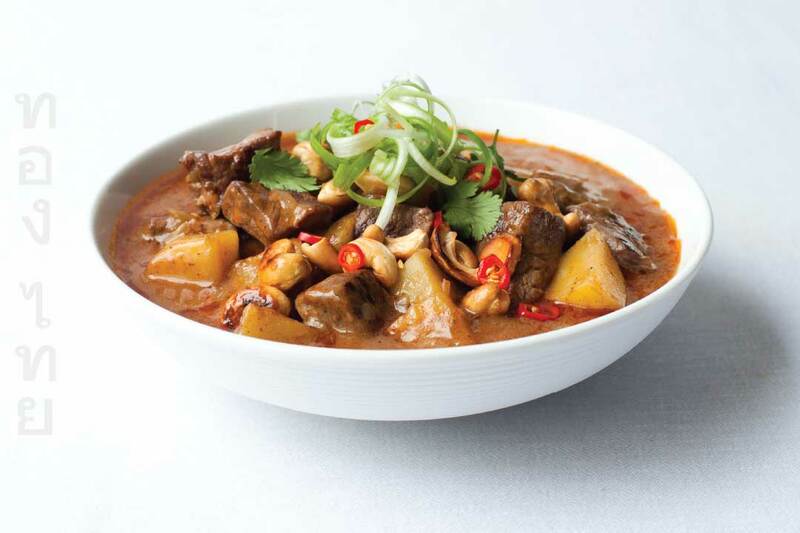 Massaman, the classic mild southern curry is the Irish stew of Thai curries - wholesome, robust and aromatic. Add the Massaman Curry Paste and stir, combining the paste with the milk. Add the beef and the beef stock. Add 3-4 tsp of Thai Gold Nam Plaa (Fish Sauce), and the Palm Sugar. Next add the cubed potatoes, the onions and the water. Reduce to medium heat and slow cook for 30-35 minutes, stirring every few minutes. Tip: In a pan, add a few drops of oil, toast the nuts over a low heat until browned tossing frequently and use as garnish. Tip: Cook Massaman for as long as possible for best results. Serving: Serve with Thai Gold Jasmine Rice, leftovers need to be mopped up with crusty bread, yummy!